It is finally time for the ATP 500 event – the China Open in Beijing, the main draw of which starts on Monday. This tournament keeps on attracting some of the world’s best players every year and this year is no exception. The doubles draw at the China Open has been released and the first round promises an absolutely intriguing match-up for Indian fans. Just a few days after the Davis Cup clash, we get another exciting India vs Spain match as Rohan Bopanna is set to face the Rio Olympics doubles gold medallist Rafael Nadal in a must-watch first round encounter. Bopanna, who has teamed up with the legendary Daniel Nestor, is seeded third. Nadal too is not playing with his Olympic medal-winning partner Marc Lopez. He will instead be with Spanish youngster Pablo Carreno Busta. Irrespective of who his partner is, Nadal will still be a tough challenge in the opening round. If Bopanna and Nestor manage to overcome the Spaniards, the third seeds are likely to come up against the top seeds and three-time champions Bob Bryan and Mike Bryan in the semi-finals. 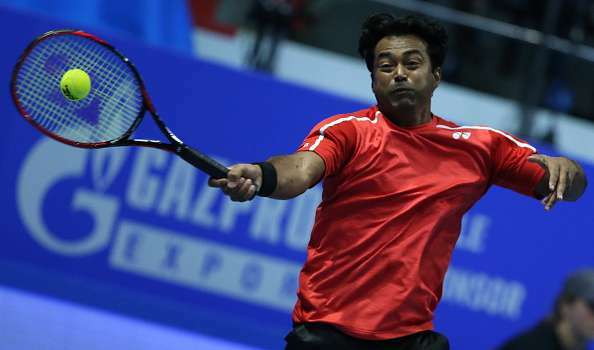 Leander Paes is the other Indian in the main draw. The Indian and his German teammate Andre Begemann have got wildcards and will start against the young combine of Bernard Tomic and Jack Sock. The Indo-German duo has reached two finals on the ATP Tour since joining forces in July. However, their inability to close out matches has cost them dearly as they lost both those finals from match points up. They get another chance to redeem themselves, this time in Beijing. But their path is not easy. They can cross swords with the fourth seeds Treat Huey and Max Mirnyi in the quarter-finals before facing the second seeds Lukasz Kubot and Marcelo Melo in the last-four stage. India can have another participant in the men’s doubles draw if Purav Raja is able to qualify. He is playing with Florian Mayer of Germany this week. On the women's side, Sania Mirza and Barbora Strycova, who had their eight-match winning streak snapped in the Wuhan Open final, need to rebound quickly from their loss. They are seeded fourth and have received byes in the first round of this Premier Mandatory tournament. Mirza won this title last year alongside Martina Hingis and if she wants to successfully defend it, she and Strycova will have to be at their immaculate best. The draw has the French Open champions Caroline Garcia and Kristina Mladenovic as the top seeds, Olympic gold medallists Elena Vesnina and Ekaterina Makarova as the second seeds and the US Open and Wuhan Open titlists Bethanie Mattek-Sands and Lucie Safarova as the fifth seeds. Besides, the other half of last year’s winning team, Hingis, too is there with Coco Vandeweghe and they are seeded seventh. Mirza and Strycova meet Gabriela Dabrowski and Maria Jose Martinez Sanchez for the third time in as many weeks. The Canadian-Spanish duo has proved to be a dangerous team and has even taken a set off the Indo-Czech combine each time they met. Going deeper into the draw, Mirza might meet Hingis in the quarter-finals in a much-awaited match-up. They last had a face-off in the Cincinnati final where the Indo-Czech duo prevailed in straight sets. The road gets tougher for the fourth seeds from thereon and they can have a rematch with Mattek-Sands and Safarova in the semi-finals or can find themselves against Makarova and Vesnina. The top-seeded Mladenovic and Garcia, who were ousted early in Wuhan, would be doubly determined to make it to the final from the other half. And that might not be music to the ears of Mirza and Strycova who were inflicted a straight sets defeat by the French pair in the quarter-finals of the US Open.